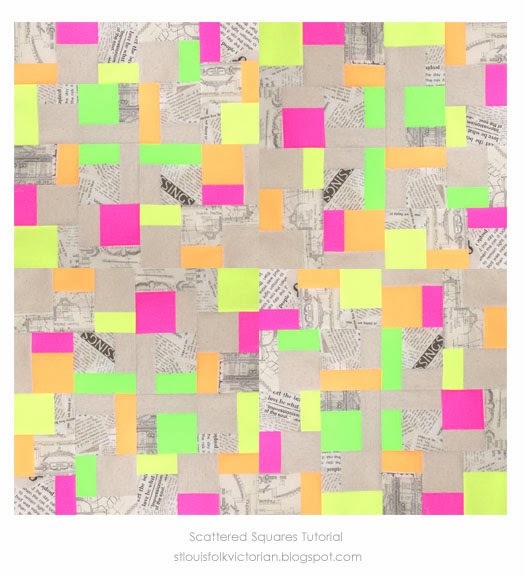 Introducing Scattered Squares; which reminds me of my Modernized D9P in that you can play with negative space to create something that is both random and organized at the same time. 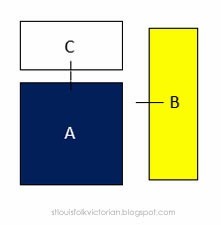 This block tutorial will provide you with cutting and piecing information to make one 9" block; which can be multiplied to create a larger 18" block...perfect to use for a quilting bee or even a wall quilt. Want to make something a little more elaborate? 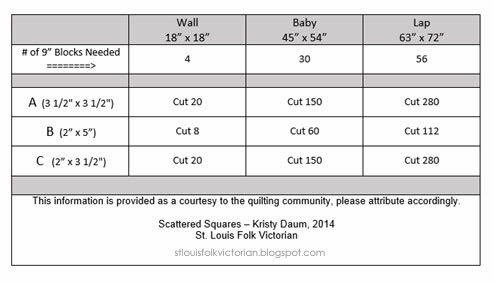 I included a chart at the end of this post; which should be helpful if you want to make a Baby Quilt or Lap Quilt. 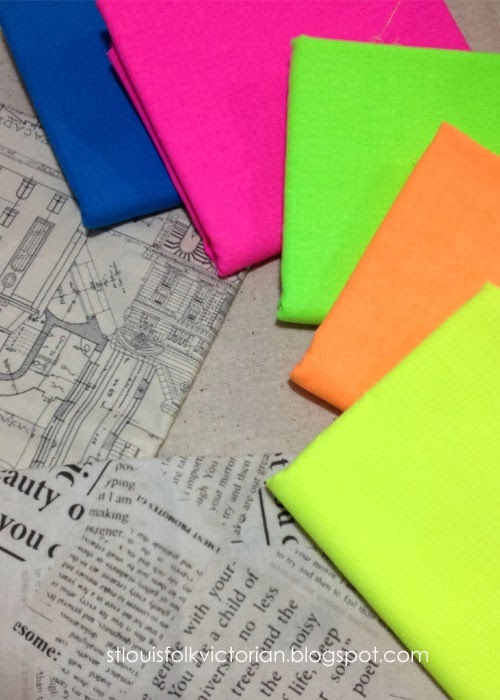 I decided to play with a handful of low-volume background fabrics and mix them with something unexpected...Neon!...although later I did decide to lose the blue. This tutorial does not tell you what fabrics to use for each piece, as I hope that you will be adventurous and try something that is unexpected. 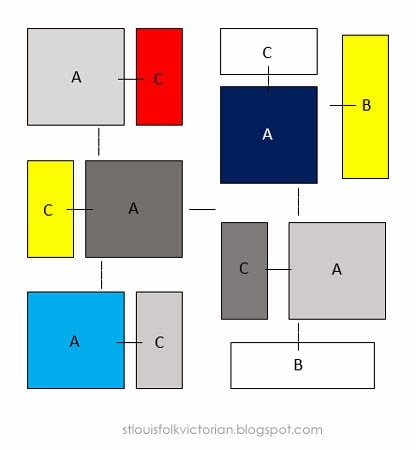 Your finished block should now look similar to the below diagram, taking into consideration that your color/print layout will be different...of course. Would you like to make more...how about a whole quilt? At the time this tutorial was written I only made 4 blocks; but through the magic of PhotoShop, I am able to show you what 16 blocks look like. 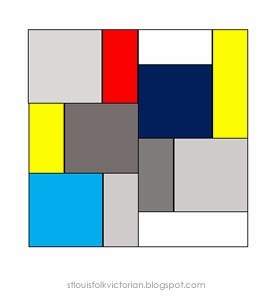 Interested in making a wall hanging, baby quilt or even a lap size quilt. 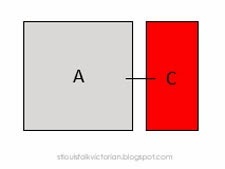 You will need to figure out the yardage requirements; but I've provided how many of each piece you would need. If you make a quilt, I'd love to hear about it and definitely would like to see it. Drop me an email, send me a tweet, or tag me on Instagram. Thanks for the tutorial. 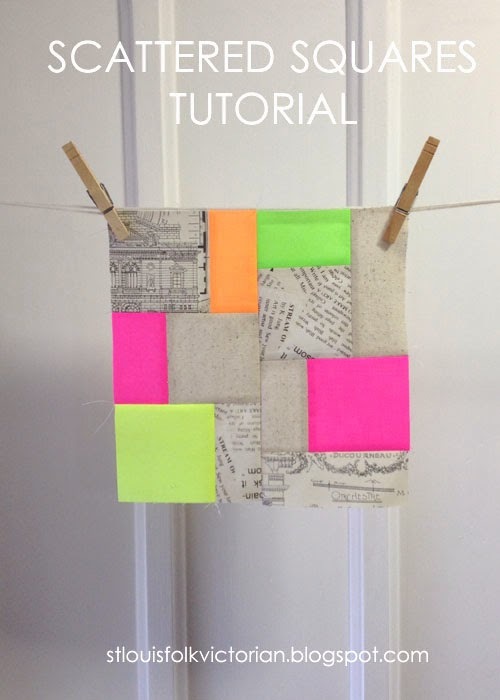 Looks like a fun, easy block to make.